Mail merge software that sends batches of personalized emails with personalized PDF attachments. 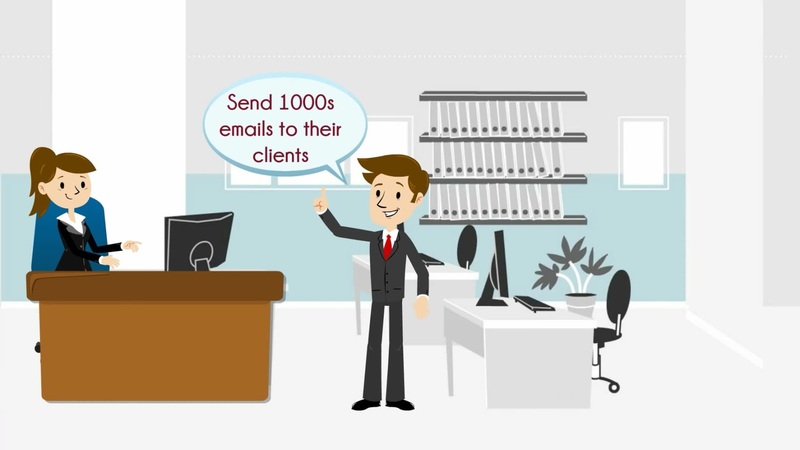 Creates and sends batches of personalized emails with personalized PDF attachments. pdfMachine merge will insert the personalized details from a data source into your template to create individual, personalized emails and PDFs in bulk. You no longer need to manually create these emails and attach the PDFs yourself. Making it easy to send personalized emails. Merges individual data from rows in a data source into a layout to create personalized emails with attached PDFs. The email body and PDF attachments for all of the emails have the same layout, however parts of the content are customized for the individual email. Data is automatically transferred from a data source such as Excel into a template producing a personalized PDF attachment to an email. Read about more of the powerful features of pdfMachine merge here. pdfMachine merge is fast. Much faster than using Word to do a merge. This makes a big difference when you have a large number of emails to send. Read more about configuring pdfMachine merge here. pdfMachine merge can be configured to send emails with no attachments, one attachment or multiple attachments in each email. Multiple personalized PDFs can be dynamically created and attached to a single email. Existing files can also be attached. Or a mix of existing files and generate files can be attached. PDF files that you already have can also be attached to the email. The same file can be attached to all emails by entering a direct path name. The file can be different for each email (using a merge field to designate the file name). Existing PDFs can be password protected or have a stamp/watermark applied to them. Sometimes you might not want to embed the attachments in the email, just send a link. This cuts down on email size and may increase deliverability. For details, please read: Email attachment upload. Multiple profiles can be created. Profile settings are saved making it easy to come back to the profile later. e.g. you might have one merge profile for a monthly statement you send out and another for an annual mail out. A history of merges performed is maintained - making it easy to find emails you have previously sent. PDF security can be set for both static (existing) and dynamically generated attachments. Each PDF attachment can have its own security settings by using a merge field as the password. e.g. a password specific to a recipient. Powerful formatting capabilities of merge fields. The email body is produced using a WYSIWYG HTML editor making it easy to create good looking emails yet providing you with the power of HTML. Read here for more information on HTML emails.